To cook or not to cook? 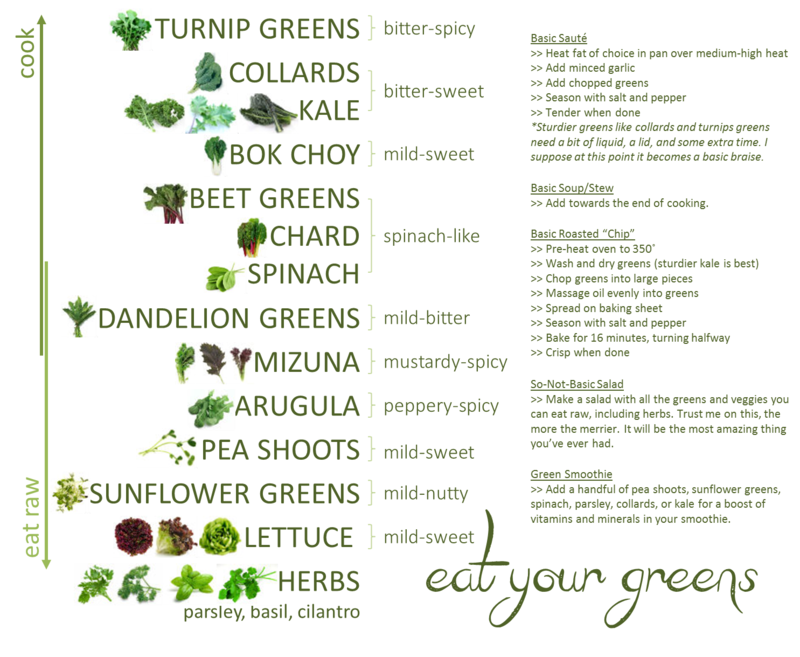 Greens listed from top to bottom, ranging from veggies you generally cook longer proceeding down to things you typically eat raw. One notable exception, kale, which makes a fantastic salad. Don’t forget to strip out the stems of the top three heartier greens before cooking. It’s time to eat your greens! with the Winter CSA. From November 5-February 4, with a 2-week break during Christmas Eve and New Year’s Eve, receive 12 weeks of winter health — greens, roots, shoots, and fruits. Space is limited so sign up soon. I’ve listed all the greens we grow above, starting at the top with veggies you cook longer proceeding down to things you typically serve uncooked. I’ve included my somewhat subjective taste characterizations. Also, hooray for the taste of bitter! It’s complex, it’s interesting, it’s part of a mature sophisticated palate, it’s a good thing. It’s time to eat your greens (and roots, shoots, and fruits) with the Winter CSA.